Describe yourself: I'm a saucy little fungal disease with a real thing for the leaves of tomato plants! People say I'm common, but I reckon I'm an angel, a brown spot with a gorgeous yellow halo. Hobbies: I adore the older leaves of tomato plants, but don't mind a stem, or entering the fruit through growth cracks or the fruit stalk. I'm movin' on up baby... I start on your older leaves and work my way to the top of the plant, causing defoliation as I go. If I have to have a young plant, I would definitely go for the base of the stem... I'm partial to a bit of collar rot! Likes: Oh, I love to get busy when the weather is over 15⁰C and there is lots of moisture around... it really gets my spores flying and my lesions growing! Love humidity, when you over fertilise your tomatoes (oh yeah baby, I love that), shade and water lying around on leaves. I love really crowded gardens where there is no air movement. Dislikes: Sun, well mulched garden beds, when you clean up fallen leaves, hate well prepared soil with heaps of organic matter, home made spray remedies (like milk sprays and bi-carb mixes), store bought good sprays. I really don't like gardeners who monitor their plants all year round! You'll know you've met me when: Your tomatoes lack serious vigour, older leaves are seriously ugly with spots, and some fruit shows damage (at the stalk end). 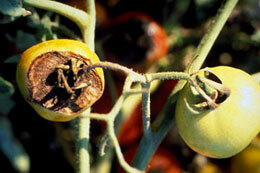 Check young plants for collar rot. Mix fat-free milk with water in a 1:1 ratio and apply it using a spray bottle. Spray the solution directly onto the clean leaves of your tomatoes. 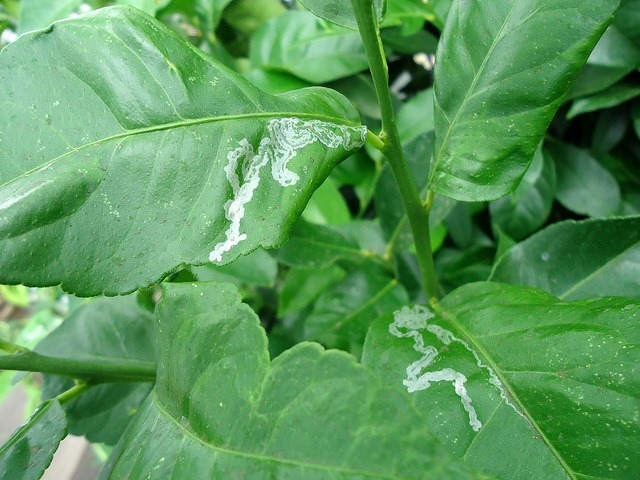 Milk-and-water solution coats the leaves and leads to the growth of an invisible fungus that frightens off black spot! To four litres of water, add 3 level teaspoons of bicarbonate of soda and a couple of good splashes of fish emulsion. Give it a good mix and spray it on weekly. Don't apply when it's hot. The Fish emulsion is very useful because it helps to make it stick. It also contains beneficial bacteria that have antifungal properties. And that's not all - the oils in fish emulsion will help to suffocate pests like mites/aphids/scale. You must use it weekly for it to be most effective. Low Environmental Impact fungicides are available, but success is limited and control can be difficult. Destroy all infected plants and dropped leaves by bagging and disposing in rubbish, or burning. Do not compost. Rotate your crops!!! Don't plant the same crops, or susceptible crops in the same area each season. Pumpkins, the source of many a young girl's daydreams. Turns into a carriage, takes you to the ball, something about glass slippers and a happy ending! As a young girl, and even as a not so young girl, I was never one for the whole Cinderella thing, but I too had dreams of pumpkins! Well, more specifically, my Mum's pumpkin soup! The secret ingredient to this oft imitated, never duplicated soup, was home grown pumpkinney goodness (or ginger, I can't quite remember). So now you too can grow your own giant orange balls of tastiness! Warm Areas: All Year Round! The biggest thing to remember about pumpkins is that they LOVE space, and I reckon that each vine needs about 1m². So, here's a hot tip: find a sunny spot out of the way a bit (like the forgotten side of the house or shed), pile up some compost, whack in two vines and walk away. 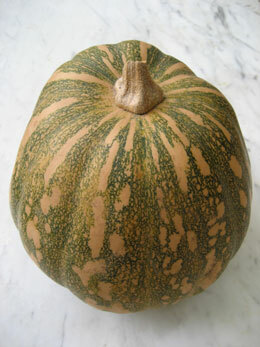 Pumpkins like their privacy, and can suffer a bit if they are trod on, cut or damaged. Growing pumpkins is so easy, even my evil stepsisters can manage it (that's a joke by the way!). Pumpkins love compost, I mean they really love compost. That's why you'll often find a pumpkin vine growing out of old compost piles. So, the more compost the better! Pumpkins vines will root where they come into contact with the ground, and this should be encouraged as it produces more pumpkins and stronger plants. 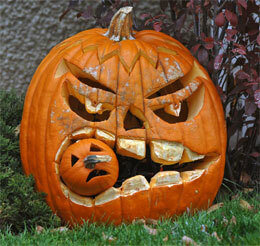 If you have planted your pumpkins in a nice, rich, compost filled Yummy Yard, there is absolutely no need to feed! The other thing that pumpkins love, in addition to compost and space, is a moist, well-drained soil. Soil with a high compost content will retain moisture, as will a nice mulch layer. Now, before you go nuts on the end of the hose, use your moisture sensor! What do you mean you don't have one? Your pointer finger is the greatest moisture sensor in the world... and most of us have two of those. Stick your chosen finger in the soil, and remove. Is it damp, and is there dirt stuck to your finger? If yes, it doesn't need a drink. If no, read on! Water in the morning, to avoid water on the foliage as the temperature cools down, and never, ever, ever water pumpkin with greywater! Pumpkins, depending on the variety, take between 70 - 120 days to mature, which is a bloody, long time, but totally worth the wait! You can tell when a pumpkin is ripe when you give it a knock on the side, and it sounds hollow. The skin should feel hard and the tendril closest to the fruit should be dead. When removing the pumpkin from the vine, be sure to keep about 5cm of stalk on top. If you don't plan on chowing down or carving up your pumpkin straight away, I recommend "curing" it by sitting it in the sun for a while (about a week), and then storing it in a cool, dark (but not damp) place. 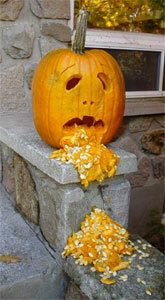 Well-cured pumpkins can last for up to ten months. 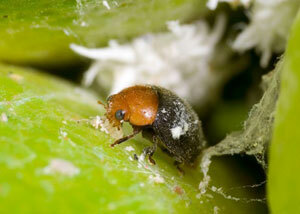 A common problem with pumpkins isn't so much a pest issue, but a pollination problem. For years I grew pumpkins with magic vines, but no real fruit. The problem was that small fruits would form, go yellow, and fall off. I overcame this with hand-pollination! The trick is to pick the boy flowers (the ones without the tell-tale bump at the base), take the petals off, and lightly rub the pollen on the sticky bits of the female flowers. As for real pests - well, there's not much, but keep an eye on fuzzy mildews (like Powdery Mildew or Downy Mildew). 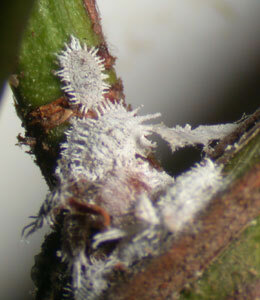 Have a read of those two factsheets should these little fungal nasties appear! 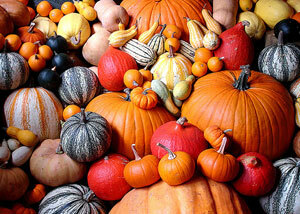 Don't grow pumpkins in the same patch as tomatoes or potatoes, 'cos they just don't get along! Also, crop rotation is a big deal, so wait two years after planting other members of the pumpkin family (including cucumbers, melons, squashes and zucchinis) before you whack in your pumpkins. This just helps cut down the risk of disease and bad stuff happening to your pumpkin patch. This is the ultimate in kinship. This sauce and pumpkin go together so well that you’ll pass this recipe on through the generations. Preheat oven and bake the pumpkin while the sauce cooks. Wash and cook some jasmine rice too. Cut up and stir fry a few greens to complement it if you so desire. Peel pumpkin. Cut into small chunks. Place pumpkin on greased baking trays and bake until tender. (Will take approximately as long as the rice and the sauce or 25-30 minutes). Finely dice onion and chilies. Heat oil in small saucepan over medium heat. Cook onion until soft. Add garlic, ginger, chilies and garam masala. Stir for 1 minute until fragrant. Add remaining ingredients and bring to boil. Turn heat to low and simmer gently until rice is cooked and pumpkin tender. However, the sauce will thicken quite a lot, so keep an eye on it. When sauce is the thickness you desire, or the rest of the meal is ready, turn the sauce off. Allow to sit for a few minutes. In this time, you could stirfry some greens. A green salad with Asian inspired dressing also goes well with this dish. Remove star anise from sauce. Taste sauce and season if necessary. Place pumpkin on top of rice and ladle the curry sauce on top. Serve by itself or alongside your greens. Describe yourself: I’m the tiny larvae of a beautiful silver moth, and am very rarely seen. That said, you can sure see my silvery trail of destruction, as I leave my squiggly tunnels all over the leaves of your favourite citrus trees! Likes: I adore citrus trees of all kinds, especially lemons, limes (native and exotic) and orange trees. I love laying eggs, especially on the midrib of the foliage of your favourite fruit trees, and knowing my beautiful larvae are growing big and strong inside your foliage. I especially like when all my babies make their silvery tracks on your leaves…..it makes a mother so proud! And I love to get started when there is fresh new foliage available. Dislikes: Parasitic wasps and lacewings really bother me, as do a number of low environmental impact horticultural oils. Diligent gardeners who pull off and dump infested leaves into the bin also make me sad. You’ll know you’ve met me when: The leaves of your citrus are covered in squiggly silver trails, and, if the infestation is pretty bad, the leaves may appear to curl and become distorted. These curled leaves allow my larvae to pupate and become grown ups....ready to fly and infest again! Old School Control Methods: Really hideous chemicals registered for commercial growers only. Remove all affected leaves as soon as you see them. This means inspecting new growth, especially in spring. Although moth numbers are low then, new growth, especially on young trees, is much more vulnerable. The mines are not as obvious as later in the season, but if you inspect trees closely and see about 10% of leaves with mines, the leaves should be removed. Place the removed foliage into a plastic bag and leave it out in the sun, or dispose of it in the bin. Do not compost these leaves, otherwise your compost bin may become a nursery for more leafminer! Encourage natural predators like lacewings and parasitic wasps to your garden by increasing your backyard biodiversity. Otherwise, consider purchasing some of these guys where all good bugs are sold! Spray with horticultural oil to deter mama moth from laying new eggs. The oil won't kill the larvae which is why it's important to inspect trees early in the season and remove any infested growth. Spray first thing in the morning to avoid spraying beneficial insects which are less active at this time. This also reduces the chance of burning foliage. Have a look at the Garden Product Guide - Safe for You 'n' Nature for a number of suitable low environmental impact products. Describe yourself: I'm about 4mm long, and I'm a real sweetie, covered in a lovely layer of white powder. Although I may look cuddly, I'm a really hard worker, and enjoy hanging out with my mates on the cool undersides of leaves and stems. Hobbies: I love nothing more than sucking sap from leaves and stems! Exuding honeydew is a special talent, which encourages sooty mould. I also release toxic saliva that can seriously damage plants. Likes: Citrus plants, orchids, ferns, loads of ornamental plants and shade houses. I like warm and humid weather... it just makes me want to breed! Oh, and I love ants, they really look out for me! Dislikes: Being scrapped off a plant with a stick, home made veggie oil soap mixes or store bought alternatives. I really don't get on with parasitic wasps and Ladybirds. You'll know you've met me when: New growth on your plant looks weird and the plant has a sprinkling of white furry stuff on leaves. You can also see me and my mates hanging out along the veins of leaves and on stems. Stop my ant friends from coming around by growing tansy or other ant repellent plants! Ants tend to our every need and protect us from garden bullies. Without their protection we are all alone in the world. Spray me with a home made garlic or chilli soap. Or even a store bought insecticidal soap and target the undersides of the leaves. Spray your plants' leaves with water and knock me and my mates right off our perch! Pay your neighbours kids to come round and wipe me off with a stick! 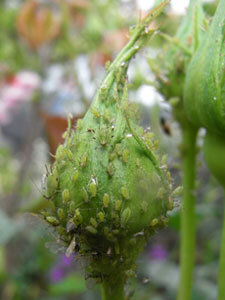 Buy some Ladybirds or Parasitic Wasps, and release them onto the infected plants. Use plants that have a milky sap or furry leaves... we hate them! Dab us with rubbing alcohol or methylated spirits…..man, that burns (but it won't harm your plants). 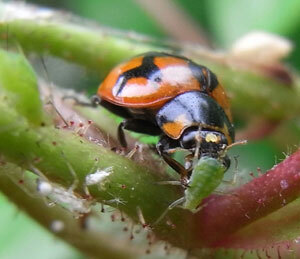 Pic 3: www.bugsforbugs.com.au Desc: Australian Native Ladybird... destroyers of mealybugs! September is a fantastic time to be alive for us gardeners! The chill is almost gone from the mornings, and the afternoons are getting longer. Blossoms are bursting and you can smell spring in the air wherever you go. If you have been hibernating through winter now is the time to get out and into it. Read on for some fabulous September gardening advice for your area. Prepare your Yummy Yard for spring planting by improving your soil. Lightly dig over the soil popping in plenty of organic matter including top-notch compost and well rotted manure. Don't forget to mulch the beds with a straw mulch. This bed will be awesome come planting time... and you will have the greatest Yummy Yard in the street! Why not try some lovely colour in your patch as well like nasturtium, snapdragons, phlox, petunias, marigolds (French) and celosia. They are great at attracting pollinators and beneficial insects to your patch, and they look fantastic as well. Now is the time to plant some sunflower seeds. Find a sunny spot where you would like to see some happy sunflowers later in the year and plant the seeds to double the depth of the seed. Cover lightly with dirt and wait... they'll be popping their heads up in no time! 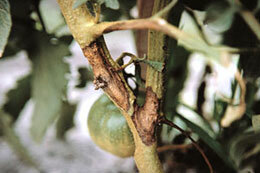 Check your citrus trees for gall wasp and remove affected sections by pruning well below the gall. Don't compost this or put it in the green waste bin. It's a good idea to cut through the gall to expose the larvae to air - which they hate - before putting it in a bag and popping in the rubbish bin. Or you could soak the galls in water for a week or two - or burn them (if your local Council permits). Other things you can do are to hang sticky yellow traps on the tree in mid-August as they attract and trap the emerging adults, but make sure you take the traps down by November as they also kill beneficial insects. Do not use a fertiliser that is high in nitrogen, as this promotes soft growth which provides ideal conditions for the wasp. Use a balanced fertiliser or compost. A biological form of control - introducing wasps that prey on citrus gall wasp - is used in orchards and home gardens. Megastigmus brevivalvus and Megastigmus trisulcus are natural enemies of citrus gall wasp. 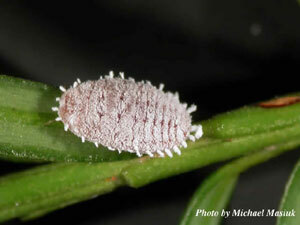 They lay their eggs inside the eggs of the citrus gall wasp and when their eggs hatch they destroy the host. Megastigus brevivalvus is sold to home gardeners in some states, but it is only available for a two-week window around October/November. If you are able to get some of the parasitic wasps, they must be released soon after the citrus gall wasps have emerged. This is your absolute last chance to do something about gall wasp before they hatch out and take over the world, so don't put action off! Top up mulch on your veggie patches, herb gardens and ornamental beds. Choose a sustainable, low environmental impact mulch, one that will enrich your soil as it breaks down. On really cold days, why not head out to the shed and sharpen, clean, oil and maintain your garden tools. Sounds tedious, but it's really rewarding, and will save you cash and plant illness in the long run. Now is a great time to re-pot your Indoor Plants. Give them a bit of a feed with a seaweed tonic afterwards to keep them happy. Below you will find more information that is specific to different regions and climates in Australia. Spring into it! There is so much ready to go, so why not plant some rocket, silverbeet, spring onions, Chinese cabbage, mizuna, lettuce, tatsoi, zucchini, pumpkin, leeks, capsicum, cucumber, eggplant, tomatoes and watermelon. 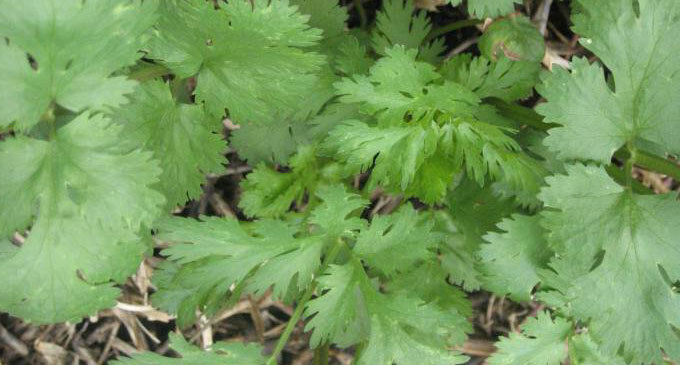 In the herb patch, pop in some parsley, sweet basil, chamomile, dill, coriander, marjoram, oregano, catnip and thyme. 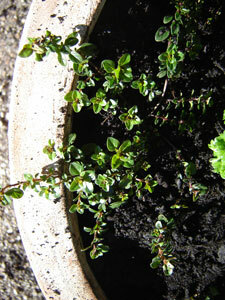 Also try mint, but keep it in a pot, as it has a tendency to take over. Feeling fruity? It's time to plant passionfruit, paw paw, avocados, banana, citrus and macadamias. If your tastes are a little more exotic, try putting in a guava... they're tough plants and the fruit is sensational! Consider a green manure crop to add some life and love to an overworked patch. At this time of year, try millet, lablab, amaranth or mung bean. This will improve your soil incredibly and you'll find it well worth the effort! Green manure crops like faba beans, barley, lupin, wheat or field peas are also good to go now. There's a bit happening in the veggie patch so you could try leeks, onions, parsley, parsnips, cauliflower, peas, radish, silverbeet, lettuce, swedes and turnips. Don't you just love the start of spring? Don't get over excited... it's too early for tomatoes just yet! In the herb patch pop in some chamomile, dill, coriander, echinacea, catnip and thyme. Also try lemon balm but keep it in a pot, as it has a tendency to take over! Plant these after the frost risk has passed. Green manure crops like faba beans, barley, lupin, wheat or field peas are good to go now... improve that dormant veggie patch! Leap into springtime gardening, especially in your veggie patch! Try celery, silverbeet, lettuces, leeks, spring onions, climbing beans, cucumber, sweet corn, tomato, carrot, Jeruslaum artichokes and radishes. Wait until the frosts have finished. Get into herbs in the 'burbs with parsley, chives, catnip, sage, oregano, rosemary, thyme and marjoram. Feeling fruity? It's time to plant blueberries, passionfruit, paw paw, avocados, banana, citrus trees, olives (non-weedy varieties). If your tastes are a little more exotic, try putting in a guava... they're tough plants and the fruit is sensational! Green manure crops like chick pea and barley are good to go now... improve that dormant veggie patch! Of course, this is just a rough guide, and many of you will find your situation varies from the above due to microclimates created in your garden, location in relation to your nearest major city, extremes of weather and garden type. Happy springtime gardening, see you next month! Describe yourself: I'm a real softy, small in size (around 2 - 3mm), with a shiny, transparent green or yellow body! I occasionally dress up in a white, woolly coat. I'm rarely seen on my own as I hang out in a pretty big group! A particular version of me, the cabbage aphid, is more grey and particularly loves brassicas in winter. Hobbies: Multiplying!!! Sucking sap; exuding honeydew; hanging out with ants which are attracted to the honeydew, encouraging sooty mould and passing viruses from plant to plant. 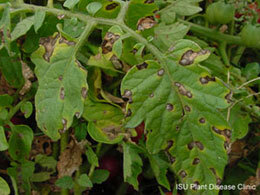 You'll often find yellow patches from these viruses on infected leaves. Dislikes: Chives, coriander, garlic, onions, petunias and radishes. Soaps - like home made chilli soap, neem oil (Azadarachtin). Don't get along with Ladybirds or Lacewings, Braconid Wasps, Hover Flies or Praying Mantis! Oh, and I hate sticky traps! These predatory insects seem to be attracted by companion plants like Alyssum, Yarrow and Dill. You'll know you've met me when: all your plants' new growth is seriously malformed; there are heaps of ants on the stems or plant parts are sticky from my honeydew. Oh, and yucky black sooty mold soon appears! Squash me and my mates by hand. It's icky but effective! Or pay your neighbours' kids to do the deed- they love squashing us! 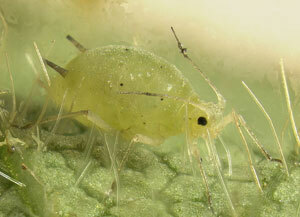 In my death throes I emit a chemical signal that makes the other aphids take off quick smart! Spray your plants' leaves with a strong jet of water (either with a hose or kitchen spray bottle) and knock me and my mates right off our perch! Provide a bright yellow plastic dish, half filled with water, near my preferred plants. I can't resist yellow things, but I can't swim either! You can work out the rest! Ok, it’s official, winter is upon us. And while it may seem easier to curl up on the couch with a cup of tea and a good book, it is the perfect time to get amongst it in the patch! There is a sense of hibernation for a lot of us but wherever you are in this nation it’s time to don the boots and get to it. Stick in some spuds, home grown is easy, and incredibly rewarding. The potato page is here! Don’t forget about sweet potatoes, they are great fun to grow as well! You should start seeing bare rooted fruit and deciduous trees starting to appear in your local nursery. This is the cheapest and easiest way to purchase. The stress is less for the tree as it is dormant. Pick trees with a nice shape, and don’t forget to prune them back before you plant them out (best thing to do is ask the local nursery to do it for you). Remember to make sure you have the correct pollinators to ensure a good crop. 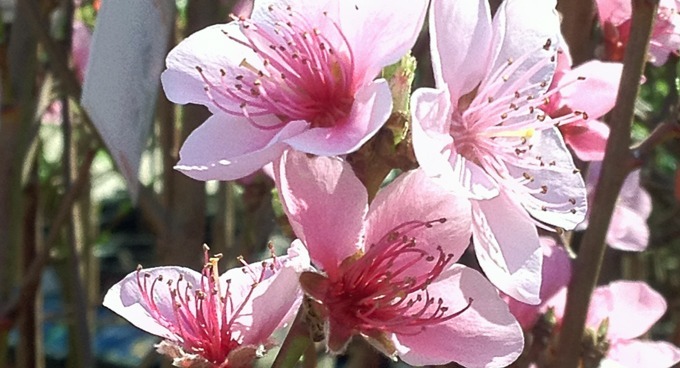 Some stone fruit trees will not fruit until they have been in the ground for a few years. So be patient. 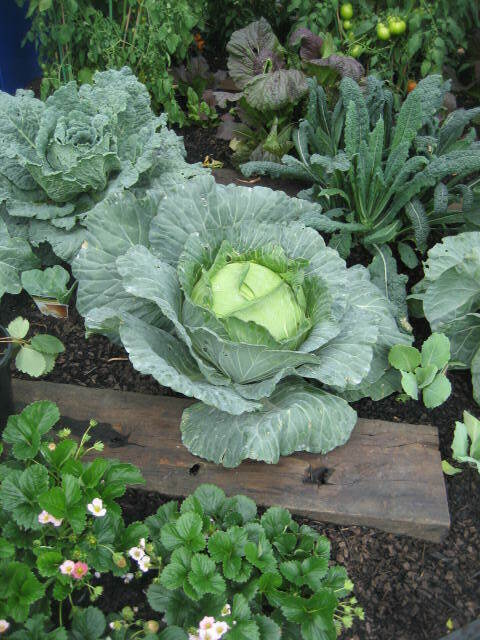 Give Brassica’s a place in your patch, pop in the following: broccoli, cabbage, cauliflower and Brussels sprouts. Plant some sage with these guys as a great, caterpillar and moth-repelling companion! 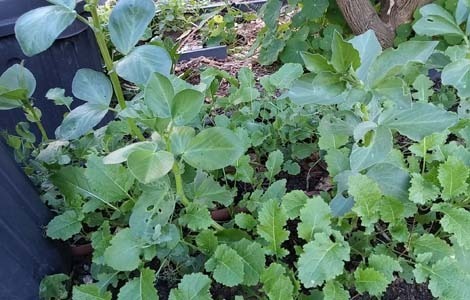 For plants that will settle in over winter, so that when spring comes along, they will go gang busters are: peas, beans, radish, Swedes, turnips and spinach. Oh, and some spring onions would go a treat this month as well. Plant some rhubarb crowns. Set aside some space in the patch, and check out out the Rhubarb fact sheet for all the tips and tricks. Add some colour and movement to the patch, and pop in some of these little pretties- dianthus, cornflower, pansy, viola, verbena and lupins. Having these around your veggies will give some interest to the patch, and act as beneficial insect attractors! Top up mulch on your veggie patches, herb gardens and ornamental beds, especially important for weed suppression at this time of year. A hot tip is to mulch after watering the patch, to a depth of about 7cm. Keep mulch clear of plant stems, especially young seedlings. Choose low environmental impact mulch, one that will enrich your soil as it breaks down. Also look for one that has done the lest amount of travel to get to you. Green manure crops, including oats, wheat, faba beans and field peas are good to go now. Improve that nutrient deficient veggie patch, and get ready for next seasons heavy feeding plants! A seaweed tea, or any low environmental impact liquid fertiliser are perfect for the seedlings you’ve just popped in. Apply to the soil early in the morning, and in the concentrations mentioned on the packet. Weeding is still needed at this time of year. Most plant growth has slowed down, so it will not have to happen as often. But it also means that it is also a time of year to try and remove as many competitors as possible before the weather starts warming up again. Water smarter at this time of year. Water first thing in the morning, and instead of quickie irrigation, a nice, deep drink a couple of times a week is far more beneficial! Always check soil moisture before watering, don’t waste your precious drinking water if Mother Nature has already done all the hard work for you! 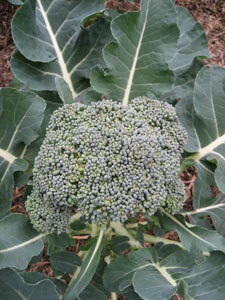 Great time to plant in the temperate zones, so pop in some Brussels sprouts, cabbage, cauliflower and broccoli. Peas and beans can also go in, as well as radish, turnips, Swedes and spinach. It’s time to get happy with herbs, so try some chamomile and lemon grass. You could give mint and lemon balm a go as well, but be careful to contain them as they can take over. Why not try some lovely flowering stuff in your patch as well, like: cornflower, calendula, dianthus, pansies, viola, snapdragons, stock, ageratum and marigolds. These guys are great at attracting pollinators and beneficial insects to your patch, and I reckon they look tops as well. Consider a green manure crop to add some nutrients back into your patch, especially before planting heavy feeders in spring. At this time of year try faba bean, field pea, oats and wheat. This will improve your soil incredibly, and, for a bit of forward planning, you’ll find it well worth the effort! Top up mulch on your veggie patches, herb gardens and ornamental beds, especially important for weed suppression at this time of year. A hot tip is to mulch after watering the patch, to a depth of about 7cm. Keep mulch clear of plant stems, especially young seedlings. Choose low environmental impact mulch, one that will enrich your soil as it breaks down. Plants feel the need for a feed at this time of year. A seaweed tea or low environmental impact liquid fertiliser is perfect, especially for the seedlings planted this month. Apply to the soil early in the morning, and in the concentrations mentioned on the packet. Plants in pots... it’s hardly a new or revolutionary concept... I mean, we are all well acquainted with the potted Maidenhair fern in the bathroom, a dusty 'Parlour Palm' struggling for life in the corner of the office, or the ubiquitous 'Peace Lily' given as a gift when we can’t think of anything better. But what about productive plants in pots? Imagine a 'movable feast' in your inner city courtyard, providing a fair amount of the food you love to eat? A bounty of beautiful herbs out by the BBQ, or tonnes of tumbling tomatoes at your townhouse? Just about anyone has room for a few pots at their place, and we reckon you will be amazed by just how much produce you can grow in just about any space! 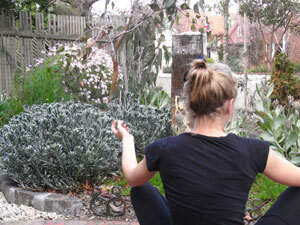 This is all about the best position, not just for your plants, but for you as well. Almost all edible plants will do best in a full sun spot, so spend a bit of time in your patch, and work out where the sun is at it’s most super! Remember, this will vary considerably from winter to summer... but the beauty of planting in pots means you can move them as required to catch the rays! Pop the pots somewhere convenient for you – the closer they are to the house, the more likely they are to be watered (very important) and eaten (also very important!). Make sure that the pots are not blocking access ways, are not sitting in wind tunnels, and are not in the firing line of dogs, cats and wayward balls. If you just can’t get the right pot position, why not consider going up, rather than down? There is a massive range of tasty treats that can be grown in hanging and wall pots, and this is often an excellent solution for light starved courtyards, or those spaces dominated by our little fur babies (yes, dogs and cats are cute, but they can be a gardener's nightmare!). Turn the old Hills Hoist into a harvestable haven, or the side fence into a fresh food feast – they make excellent backyard features, and you’ll be the talk of the neighbourhood (in a good way)! Containers look best when they're grouped together, with pots of all different shapes and sizes closely clustered. It has a greater visual impact, cuts down on watering, creates some mini biodiversity and means you don't have to walk so far to enjoy a plethora of plants. Group plants that require similar levels of watering together, bearing in mind that plants in terracotta pots will dry out a bit faster than others. We know that pots can be pricey (no-one works in horticulture for the money), but check out our Renters Guide To Sustainable Gardening for some great tips for procuring pots. The secret is to never let a pot pass you by... if you see a bargain (or even better, a freebie), grab it, you can always use it for something. As anyone who knows me will tell you, I have an unhealthy obsession with healthy soil (which is not a bad thing in itself, but does tend to make fairly boring dinner party conversation). When planting productive pots, the growing medium is incredibly important, but the hot tip here is NOT to use garden soil in pots! Healthy garden soil contains a fantastic mix of microbes, bacteria, fungi and worms... which are great in the garden, but generally don’t perform that well in containers. 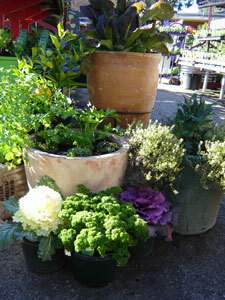 Garden soil in pots can often have significant drainage issues, and tends to go shabby pretty quickly. The secret to awesome pots is to use a certified organic potting mix, and thankfully, there are now plenty of them around. When opening bags of potting mix, it is important to be aware of the potential for harmful airborne critters to puff out of the bag and into your respiratory system, so consider wearing a mask, and wetting down the potting mix before handling. ...is a virtue, so my mother tells me, but this is not always an easy thing to remember in the garden. Consider staggering the planting times of some of your edible favourites (that is, don’t plant 15 tomato plants at once), to prolong the harvest and therefore maximising the yield of your pots. Growing from seed is an excellent way to do this, and while it may be a slightly longer and more tedious process than using seedlings, the extended harvest and money saved may just make it worthwhile for you. Plus, you can often collect and save the seed from many herbs and vegies from one year to the next, which is a good thing for the back pocket, and the planet. Use heirloom varieties whenever possible to ensure the seeds will be viable. Here are a few suggestions for some winning containerised combinations! Use these as a guide, remembering, the bigger the pot with these the better. If your pots are a little small, use these combinations as suggested plantings for groups of pots... they’ll look great, and you’ll be amazed at just how many incredible edibles you’ll be able to fit into even the smallest space! The Stir Fry – Underneath a Kaffir or Tahitian lime in a pot, plant some pick and come again Asian Greens (like Tatsoi, Bok and Pak Choi), and pop in some slow bolt coriander as well. If you don’t have a lime tree, why not use some snow peas as the vertical planting instead? Grow these up a 'teepee', and underplant as above. Plant this pot as required in autumn / winter. The Kickin’ Curry Container – For any lover of home made curries... this container is a cracker! 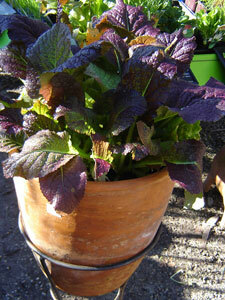 In spring / summer, pop in an Eggplant (or two, if using the smaller Thai eggplants) at the back of the pot. These will need to be staked. Underplant with a Chilli, Spinach, Coriander, and a Curry plant or two, and you are set to whip up a super curry in a hurry. Try this around September. For a winter version replace the eggplant with cauliflower and the spinach with kale. Too easy and darned tasty! The Season-All – This is a must have for any container gardener. A bay tree in a nice big pot forms an attractive (but somewhat slow growing) centrepiece, surrounded by rosemary (either standard or trailing), thyme, tarragon, parsley and marjoram. Once planted and established, you’ve got yourself an incredibly attractive, fairly drought tolerant, semi-permanent pot planting that will add interest both to the garden, and to your cooking! Plant in spring / summer... and enjoy for ages!! The Hot-Hot-Hot Pot - In a nice big pot (think half wine barrel size), pop in a capsicum at the back of the pot (remembering it may need to be staked). Whack in a couple of trailing cherry tomatoes, a chilli or two (experiment with these, there are some real winners) and some marigolds for colour and companionship! If you are so inclined, whack in some chives, and you’ve got yourself an instant Mexican feast in a pot! Plant in spring / summer. The Happy Apple – Miniature or 'Ballerina' apple trees are fantastic in pots, and with the right pollinators nearby, they can be incredibly productive. Underplant these trees in pots with some nasturtium and chives, and you will have yourself a happy potted apple. Plant anytime. Like most people, I enjoy my gardening, but have to do so on a fairly tight budget (as they say, horticulture is a job you do for love, not money!). So, when it comes to garden tools, it used to be a case of 'the cheaper the better'. Not any more. I now buy the best I can afford, even if it means going without beer money for a week! Why? Well, there are a number of reasons, the first being that cheap garden tools just don't last, be they secateurs, shovels, shears, picks or loppers. Cheap, nasty cutting tools don't last, blunt quickly, are difficult to sharpen, rarely cut cleanly (thereby damaging plant tissue), and are more likely to injure you as you use excessive force to accomplish the job. I was replacing my cheap secateurs more often than I watered my pot plants - spending money, time, petrol and emitting carbon that I just couldn't afford. And don't even get me started on cheap shovels, mattocks and picks. In one afternoon alone I managed to bend the tines on a (new) fork, snap a shovel and axe handle, and crack the head of a mattock attempting to cultivate what was to become my veggie patch! Needless to say, I stopped buying cheap garden tools that day. The environmental impact of continually replacing cheap garden tools is astounding, and the main reason I now save up to buy the best tool I can. Consider the use of resources that go into the manufacture of most of the cheap, imported garden tools on the market, not too mention the (often) excessive packaging and transport costs. Embedded water, carbon emissions, and the significant contribution these broken tools make to landfill are reason enough to buy the best. So, while the initial outlay for some of these top of the range garden products can be a little daunting, consider the savings you are making in the long run. Good quality tools should last for years provided they are cared for. Secateurs: Top quality secateurs (eg Felco) cut better, are easier to sharpen, are more comfortable to use, and easier to maintain. Look for handles with rubber shock absorbers and cushion to protect the wrist, toothed centre-nut for aligning the cutting and anvil blades easily and precisely for a clean, accurate cut. Remember to try the product out before you buy, and make sure it is the right size for your hands. 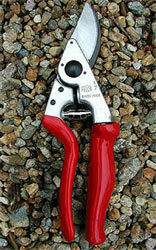 Left handed gardeners should always choose left handed secateurs (eg Felco 9 and Felco 10). 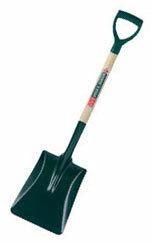 Shovels: this has a scooped blade (as opposed to the flat blade on a spade), which makes it suitable for moving garden material such as sand and dirt. Choose a size to suit you - small is right for most women, and medium is fine for the average man. Select the proper handle length for a garden shovel, with the length of shovel handle dependent on the height of the user. A standard shovel handle length is 28 to 29 inches long and made of wood or metal, with wood being the preferred option, due to weight and durability. Opt for the garden shovel with a D-type hilt or handle instead of a Y-type hilt that could split if used for heavy loads. Using a diamond sharpening stone on secateurs is on of the best things you can do, and will reduce user effort and damage to plant tissue by keeping blades sharp. 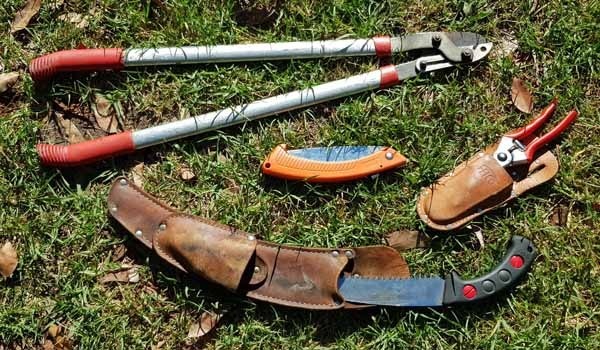 Clean and sharpen secateurs and loppers, and be sure to check blades carefully for rust, particularly if you've discovered the secateurs under a pot or abandoned in a garden bed! Careful use of steel wool and oil should restore good quality cutting blades to use. If you buy the best quality tools you can afford and look after them, they will perform well for years. Don't leave them out in the rain! Look after timber handles with regular oiling (50% mineral turpentine and 50% raw linseed oil is best). Clean blades carefully and sharpen where necessary, and sand down rough splinters on wooden handles. 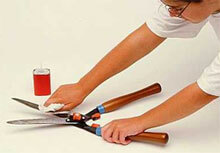 To keep blades and the edges of spades and shovels sharp, use a bench grinder or a sharpening stone. Squirt some oil on saw blades and anything else that might rust, then rub the oil in with an old cloth. Oiling tool handles and blades is a great job for a rainy day. Top quality garden tools such as shovels, forks, mattocks and picks should almost last a lifetime (Spear and Jackson offer a 10 year guarantee on their digging tools), are designed to reduce discomfort to the user, and makes the difference between a gardener that works daily in the garden and one that cannot get out of bed in the morning. First class garden tools are both an excellent investment and an absolute pleasure to use by comparison with cheaper products. They are better for the environment, our garden, our health, and ultimately, our back pockets!